Let’s be real here — do you think your dentist would offer any treatment that poses a significant danger to your oral health? Some people are under the mistaken impression that whitening works by removing enamel, revealing the whiteness underneath the stains. That’s simply not true. The layer of your tooth underneath the enamel is yellow, so removing enamel would only make your teeth look worse. Whitening uses bleaching agents to break up and remove stains. The process might cause your teeth to be a bit more sensitive, but that side effect doesn’t last long. Overall, whitening is a very safe treatment. If you take care to maintain your whitened smile, it can stay looking great for years to come. However, it won’t retain its brilliance forever. That’s because as you age and go about your daily routine, habits like drinking coffee and snacking on berries will gradually stain your teeth. Plus, enamel develops countless little micro-cracks as time goes by, making it possible to see the yellow dentin underneath it. If you want to keep your gleaming grin forever, you’ll need to perform whitening touchups from time to time. Many people are great candidates for professional whitening. However, the process doesn’t work for everyone. Whitening agents tend to work best on yellow or brown stains. If your teeth have a slightly gray color, whether that is due to age or certain medications, you’re unlikely to have a successful whitening procedure. It’s also good to keep in mind that if you have tooth-colored fillings or direct bonding on any of your teeth, the whitening treatment won’t affect these. Some over the counter products, like toothpastes and rinses, are effective at removing stains — but only the stains on the surface of your teeth. Other products, such as whitening gum, are basically useless if you want to improve the look of your smile. 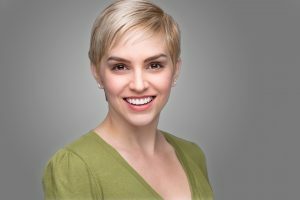 The best way to get a dramatically brighter smile is through a professional treatment from your cosmetic dentist in Lacey. Don’t believe all the propaganda out there about teeth whitening! Know the truth about this treatment so you can be an informed consumer while you’re trying to achieve a smile that turns heads wherever you go. Drs. Venn Peterson and Spenser Cammack are proud to serve folks in the Lacey area. They love making people’s smiles healthier and more beautiful. If you have questions about teeth whitening, please contact our office at 360-459-4420.